"Bad players will never think they can win, and they will stop playing." "Your game can't thrive if it doesn't have luck." "You'd be crazy to try and make it a commercial success." Challenge accepted. I guess we're crazy. Of course, it's no secret that there are many benefits to having elements of luck in competitive games. Randomness can create exciting moments for players, alleviate balance issues, and provide losing players with an excuse to avoid feeling bad about their performance. As a design decision, it has become the de facto standard in card games, copied from one game to another throughout the industry. But are luck-based game mechanics the only method of achieving these goals? After four years of struggling over this issue, the answer is finally clear: a resounding NO. What took us four years to understand is that luck-based game mechanics are not necessary to achieve excitement, balance, or consolement. All of these objectives are reachable through other means, without the player frustration or toxic community behaviour that inevitably arises in games featuring a high amount of randomness. In a nutshell, we've concluded that it's possible to design a compelling competitive game without luck. Possible. Not easy. Not necessarily doable in a manner consistent with the breakneck pace and intolerance of failure that characterizes much of AAA game development. But possible. 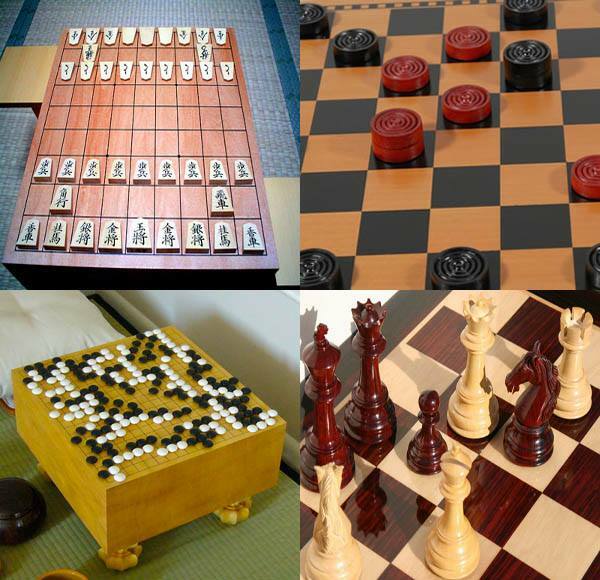 Chess, go, shogi, and checkers have been played for centuries and feature no randomness whatsoever. This means that masters of these games will crush you. Every. Time. In some sense, this doesn't sound too surprising. Most of the world's most famous traditional competitive tabletop games--like chess and go--have fascinated people for centuries despite possessing no luck whatsoever. But it would be naive to assume that their success should translate to the modern-day gaming audience, with their short attention spans and insatiable addiction to novelty. Accordingly, throughout the four-year process of designing Prismata, we encountered many roadblocks in trying to meet our goal of having no randomness in the game whatsoever. Before discussing those roadblocks, or even our reasons for wanting to avoid luck-based game mechanics in the first place, let's take a look at different types of luck found in video games, and their effects in games like Hearthstone. Most types of uncertainty or variance in competitive gaming fall into one of the following four categories: (1) Absolute Luck Examples: coin flips, die rolls, waiting for the result after going all in pre-flop in poker. In games with absolute luck, there comes a point where no amount of skill or knowledge can prevent you from losing. You're at the mercy of the dice, the cards, or the random number generator (RNG) used in a video game. You have no way of reacting to what happens; you simply win, or lose. 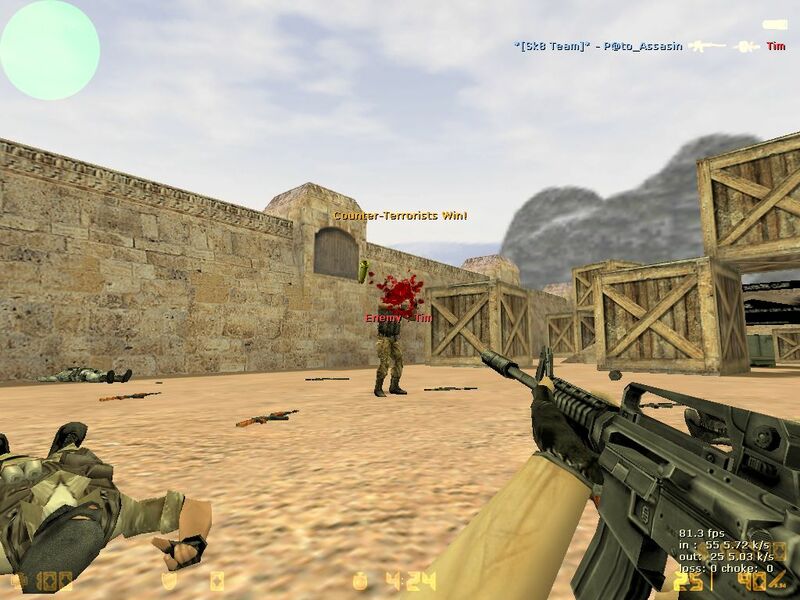 Absolute luck is seldom a wise choice when designing video games, because it often leaves players feeling frustrated and helpless when they become unlucky. (2) Execution Luck Examples: basketball shooting, bowling, headshots in first-person shooters. Execution luck refers to unavoidable variance in performance due to imperfect skill, such as basketball players who sink only 70-90% of free throws. Execution luck can have huge effects on player psychology. 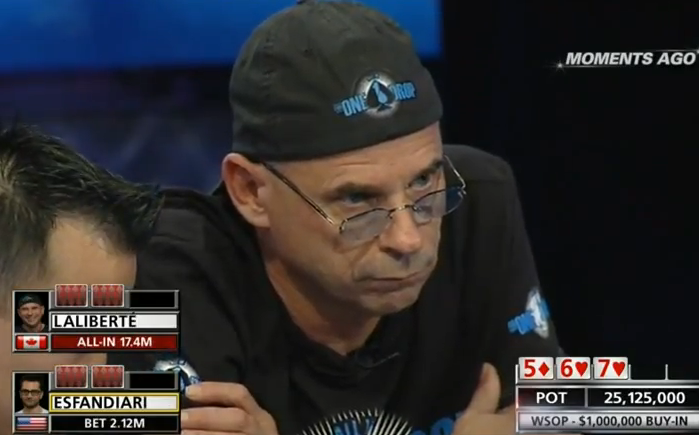 Players feel bad when they lose 3 consecutive all-in bets in poker due to unlucky river cards. But they can feel much worse when they're playing a competitive shooter and miss 3 consecutive headshots that they are usually able to make. Execution luck feels different from most other types of luck because players blame themselves when they exhibit short bursts of sub-average performance, even if those bursts are statistically inevitable due to random variations in human performance (a person who makes 80% of their shots will miss three in a row about 1% of the time). Players often question their own skill when this happens, leading to them feeling extremely demotivated ("Am I playing like crap today? Did I get worse at the game? Should I just quit?"). Worst of all, it's statistically unavoidable. 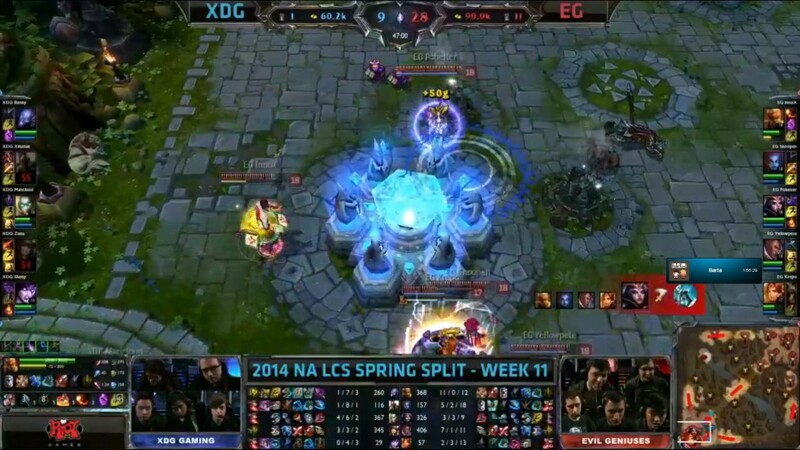 Players will inevitably feel demoralized at some point in all games where execution luck is a huge factor. For these reasons, designers need to be very careful when incorporating game mechanics that result in heavy penalties for poor execution. It's important that players are given ample opportunities to demonstrate their skills so that random variations in performance are "averaged out" over the course of a full match. (3) Yomi Luck (i.e. "mind games") Examples: rock-paper-scissors, build order selection in real-time strategy games, move selection in fighting games or pokemon. 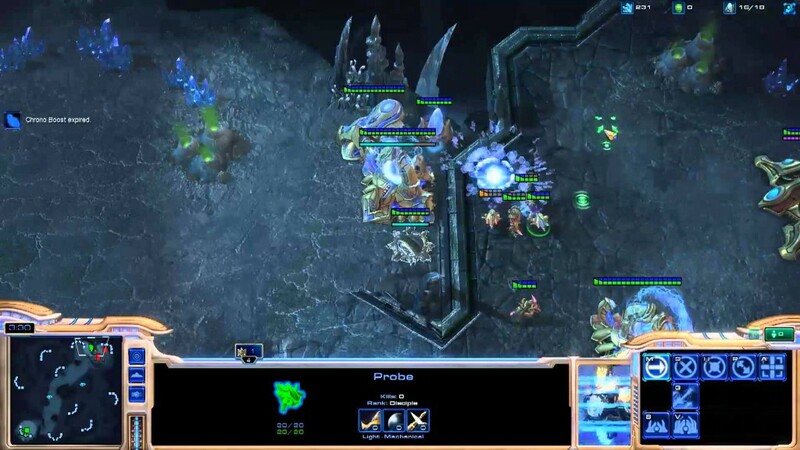 StarCraft has many rock-paper-scissors situations due to the fog of war. A greedy economic build may yield an advantage against an opponent playing a standard build, but may lose to a rush. However, a rush can fail to an opponent playing standard, leading to a disastrous economic disadvantage. Hence Greedy > Standard > Rush > Greedy. (Of course, this is an oversimplification.) Yomi is the Japanese name given to the "mind-reading" skill that allows people to win at games like rock-paper-scissors, in which both players simultaneously select an action. Despite having no true randomness associated with them, these situations exhibit large amounts of variance; no player can win 100% of the time at rock-paper-scissors. Yomi situations show up often in real-time strategy games. The correct units to build often depend on what the opponent chooses to get, and that information may not be available at all times due to the fog of war and inability to scout the opponent's base. In fighting games, human reaction time itself creates a natural "fog of war"; you won't have enough time to counter your opponent's move if you wait until it animates on the screen; you must predict what your opponent will do in order to counter it. Games rich in yomi often provide a multitude of options to players: safe plays, risky gambles, all-ins, hard counters, soft counters, and the ability to trade resources for information (for example, by scouting with a worker in StarCraft). The blending of play skill and yomi luck can create a complex web of interaction that rewards experienced players. Many yomi situations allow experts to crush new players by exploiting their natural tendencies or lack of understanding. However, in expert vs expert games where both players have a mastery of the rules and mechanics, yomi situations often devolve into purely arbitrary outcomes that depend highly on luck rather than skill. Nevertheless, this can have some benefits: players feel accomplished when they "outplay" their opponents, even if they simply got lucky. (4) Soft RNG Luck Examples: backgammon, most card games. RNG stands for "random number generator". In the context of gaming, RNG refers to any situation in which an outcome is random. Games like Hearthstone have RNG effects every turn when card drawing occurs, as well as randomized in-game effects (such as spells that deal random amounts of damage, or minions that automatically attack a random enemy). However, these RNG effects are soft in that players are given an opportunity to react to the different situations that occur. In theory, better players should be better at planning their turns around the randomness that occurs, so the increased amount of in-game luck should theoretically be counterbalanced by an increase in the skill ceiling of the game itself. As we'll see, this theory can break down in practice. Kripparrian: In Hearthstone, in constructed, at this time, it's pretty much just about draw RNG, and that really dictates who wins the matches. ">video. Gaara complains that Hearthstone has too many auto-win hands and situations where there is little decision making involved. If the opponent gets a good draw and you don't, there's often very little you can do. 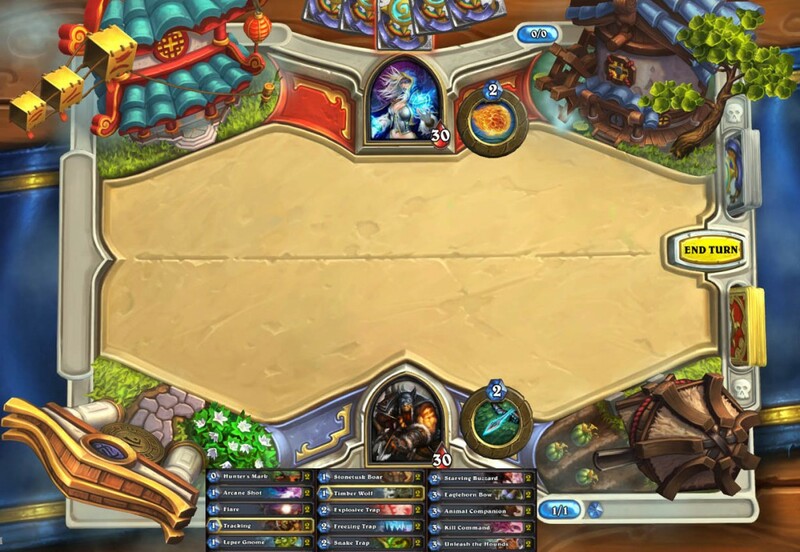 For those familiar with Hearthstone, one picture says it all: Against any reasonable opponent, your chances of winning here are likely less than two percent, even though the game has just barely begun. In the scene above, which we shall refer to as the awful zoo hand, the player on the bottom has drawn too many high-cost cards. These cards don't work well together, and none of them can be played during the first few turns of the game anyway. The player on top is in a much stronger position, and is virtually guaranteed victory. All the skillful decision-making in the world cannot save the player on the bottom from losing. These situations are not fun at all, and fairly common with the current set of decks that are most effective in Hearthstone. Are We Better Off Without Luck? ">lethal combos if you haven't seen them already. One thing is obvious: highly skilled plays are just as exciting, if not more exciting, than lucky plays. Skill Here, I won't argue with Mark. It's certainly true that much of the skill expressed in games like Magic: the Gathering is centered around preparing for, and reacting to, random events. Any Shaman player in Hearthstone will tell you the same thing. Playing well under situations where a lot of random events can occur requires a lot of planning, calculation, and ingenuity. That said, there is no shortage of skill to be displayed in games that have no randomness at all. In games like chess or StarCraft, players can concretely understand every aspect of the game at incredible depth because of the ability to replay deterministic openings or build orders and study the situations that result. In games like Hearthstone, it's much harder to argue that a person "made the optimal play", because merely calculating the percent chance of winning is incredibly complicated in all but the simplest of positions. So randomness can make it harder to obtain satisfying answers to what the optimal move in a particular situation is. Given our understanding of the benefits and drawbacks of luck in card games, let's perform a thought experiment to see what it might be like if we tried to design a card game in which all of the luck was removed. Imagine a game like Hearthstone or Magic: the Gathering where there was no draw phase at all; you simply drew your whole deck on the first turn, and could play any card from your deck as if it were in your hand. Let's call this imaginary game: DeckHand. In DeckHand, there are no mulligans, no bad draws, no RNG, and you can "live the dream" every game. You can always play a perfectly optimized ("on curve") sequence of cards, and you always have access to whichever cards are necessary to deal with whatever your opponent is plotting. DeckHand. Imagine having a 30-card hand on turn one. What would your dream opening be? What would DeckHand be like? If your answer is, "broken as hell", you're probably right, but let's think a bit about how the metagame in DeckHand would play out, supposing that the cards were balanced around the new format, and appropriate steps were taken to ensure that the player going second wouldn't be too disadvantaged (for example, by providing something similar to Hearthstone's "coin" card). We can already predict several problems with DeckHand. Many of them were also issues with Prismata during the early days of its development: Problem 1: Openings DeckHand players would quickly settle on a few optimal decks, and learn precise opening sequences for each deck. This would lead to an "opening book" like chess, where the best players memorize deep sequences of moves to play in the early stages of the game. Optimal play would depend heavily on huge amounts of study and memorization rather than game knowledge or strategizing. Many players would not find this to be fun. Problem 2: Repetition There would likely be a few popular decks in DeckHand, and players would quickly learn all of the basic matchups. Without randomness to naturally create variation in each game's opening sequence of moves, each matchup would proceed quickly and predictably through the first few turns as players "played out the book". A player of a specific deck in DeckHand might only really ever find themselves in 3 or 4 different situations over the course of all of the early turns in all of their games. This would cause games to get very repetitive. Not fun at all. Problem 3: Balance In most card games, if your opponent is playing a deck that "counters" your deck and is favoured to win, then despite being an underdog, you seldom have a probability of winning below 25%. Your opponent can always get unlucky with their draws, giving you the opportunity to win despite playing a disfavoured deck. In DeckHand, this would no longer be the case. Your opponent would have complete access to all of the cards that counter your strategy, and you could easily find yourself in situations where your odds of winning are effectively zero if your opponent plays correctly. Many games in DeckHand could simply be decided by which deck you get matched up against. The "automatch RNG" would simply take over as the dominant factor in determining the winner. Definitely not fun. Solution Step 1: Use Randomized Decks The problems listed above are inherent to the constructed metagame in any card game, but they are mitigated by random opening hands, which add variety to games, discourage deep memorization of openings, and help boost the win rate of underdog decks. Without random opening hands, we need another trick up our sleeves. 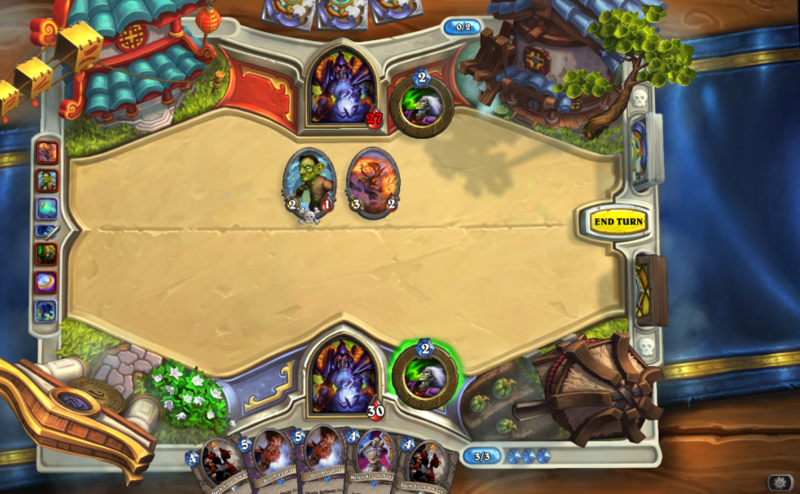 The solution is simple: don't randomize the opening hands, randomize the whole deck! Providing each player with a randomized, but balanced decklist would make each game of DeckHand fresh, with new strategies to uncover in every match. 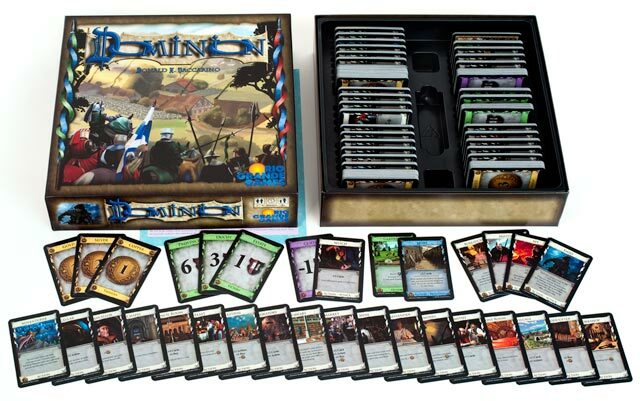 A game that does something similar to this is Dominion, in which players build decks over the course of the game using cards from a randomly generated pile. Dominion--where the cards you use are different every game. However, unlike in DeckHand, you can still fall victim to bad draws. Better pray to RNGesus. You might be thinking, "Wait, I thought we wanted to remove luck from the game; why are we adding random decks?" You'd have a point, but we'll address that later. Solution Step 2: Use the Same Deck for Both Players Of course, randomized decks vary greatly in strength, meaning that many games of DeckHand would be unfair if one player's randomly generated deck was stronger than the other. So for fairness, let's give both players the same randomly generated deck. Unfortunately, this leads to a further problem: if every match features the same cards on both sides, won't both players just play identical cards every game? DeckHand won't be too interesting if every game is a mirror match, which can be common in games like Dominion when experienced players square off. Solution Step 3: Build Diversity By Forcing Players to Make Tech Choices The three technologies that can be purchased in Prismata. If you want to rush, go red. This step is a bit harder to explain, but I'll summarize what we did in Prismata. In Prismata, there are three different technologies that players can invest in. Each unit in the game has different technology requirements, so you can't buy a unit whenever you want; you have to purchase the prerequisite technologies first. Upon seeing a player invest in a particular technology, the opponent will often react by investing in a different technology to have access to the units that counter those of the first player. This process continues as the two players jockey for position, making their tech investments in response to those of their opponent. This naturally promotes tech diversity, and hence mirror matches are uncommon. We could easily imagine doing something similar for DeckHand, though it might require a non-trivial revamp of the game's economy. Let's try DeckHand? Of course, DeckHand was an imaginary game, and many changes to the cards and abilities would likely be necessary to ensure that everything worked well. We can't say for sure that DeckHand would be a good game, but it should be conceivable that the key problems induced by removing card draw RNG can be overcome. Back when Prismata was our pet project and we were still in school, we never intended for it to be a game for "bad players". We were massively addicted to it and tried quite hard to play well! But before quitting school to work on Prismata full time, we needed to be absolutely sure that players inexperienced with strategy games wouldn't have a bad time. We did several rounds of user testing, and what we discovered was quite astonishing. Despite Prismata having no randomness, beginners who lost actually thought they were unlucky. As it turned out, beginners had not formulated any concrete strategies when deciding which units to buy, and had just chosen some at random. If their units happened to be strong against whatever their opponent chose, they would win. If not, they would lose. And they didn't blame themselves for losing, because they had just chosen randomly. The best explanation that I have for this phenomenon is that it exemplifies a fifth type of luck in games: (5) Outcome Uncertainty Examples: strategy games, in which players choose a strategy without knowing whether it will work. Outcome uncertainty is sometimes called opaqueness luck as it refers to situations in which the final outcome of a choice is not visible to players, even though it may be deterministic. A quick example would be a contest in which the goal is to guess the closest date to a chosen person's birthday. Such a contest involves no RNG in any sense, but to the participants, the results are essentially random. Opaqueness luck is not unique to beginners; in fact, much of the variance in performance among chess grandmasters can be attributed to it. Strong chess players may make a move thinking, "this is probably good for white", but they seldom know for sure. As it turns out, opaqueness is the key source of luck in games like Prismata. With a near-infinite number of possible combinations of initial configurations, games of Prismata present limitless opportunities for players to be placed in unfamiliar situations. While still learning the game, beginners often buy the wrong thing and lose. Frequently, they develop a favourite unit as a result of getting lucky with it, and then continually purchase that unit whenever it's available, regardless of whether a unit countering it can be bought by their opponents. Confronted with a loss, they actually tend to blame the RNG for providing their opponent with a counter to their favourite unit. In any case, I'm now wholeheartedly convinced that strategy game players will never change. Despite our best efforts to make a luck-free game, there will still be threads in which people claim that going second is OP, or whine that the randomly generated card sets are rigged, or complain that there are too many whiners. In the end, such discussions are a healthy part of most strategy game communities, as excuses help protect players' egos. However, we think players are good enough at coming up with excuses on their own, so we've come down firmly against the idea of adding more randomness for its own sake. Instead, our highest priority (on top of creating an enjoyable game) is to provide a quality matchmaking service guaranteeing that our players genuinely have a 50% chance of winning. That should be enough to keep them happy. Or so I hope. You lost me after mentioning heartstone for the 20iest time and quoting players. Up to this point I was hooked. Nice article, but since I know nothing about hearthstone several passages are hard to follow for me. Some interesting points, the product sale at the end kinda directed away from legitimate argument to "sales pitch", but I get that you are doing it differently with your game. So i get that... Good read though. Good article; interesting subject; I enjoyed it. I wouldn't call Execution or Yomi "luck". Neither depend on randomness, and both can theoretically reach a skill level where you are 100% correct (imagine a robot or super-human doing it, if it helps). Failure to succeed at something doesn't automatically make it luck-based. Execution and Yomi are both 100% skill-based, though players can choose to 'randomly' (that is to say, arbitrarily) take actions, which turn them into luck-based. And when you mention 'soft luck' your definition seems to be if "players are given an opportunity to react to the different situations that occur" after the random result, then it makes it soft 'random'. An example would be poker, where you draw your cards randomly* and then make your decisions, using Yomi (reading your opponents and trying to figure out their hands), acting (bluffing or pretending to be bluffing), and probability number-crunching. *A controlled random - there are only 52 cards, there are only 4 of each type of card, and everyone shares the same deck. It's not pure random. What I don't get is why you are putting soft-luck as a distinct category from Yomi and Execution. If 'soft-luck' is merely being able to take an action after the 'luck' event, and if Yomi and Execution are categorized as 'luck', in most games you can execute... and keep executing afterward. If you miss a shot in Call of Duty (a failure in execution), you still have opportunity to follow up with a second attempt. Not only is Execution not luck (though the environment you are trying to execute within might be luck (for example, wind directions during your turn at the golf tee), but by your definition, 'execution' is also 'soft luck' in some games but not others. I don't think this is a good way to categorize it. Soft luck seems to, in this definition, not be a type of luck at all, but rather relates to the flow of a player's turn in the structure of the game, and not what takes place during a specific action. If you are a programmer, 'soft luck' by this definition is a 'decorator pattern' around the actual action type, whether random, execution-based, or choice-based (possibly involving yomi), and is not itself a type of action/event. Also, maybe going second is OP, or maybe going first is OP. If you have a perfectly balanced game like chess, since players aren't making their moves at the same time (simultaneously-executed turn-based), in secret from each other, there is still an imbalance. First-move advantage in chess. If statistically, white (first player) wins between 52% and 56% of the time, that is a greater imbalance than Black Jack tables in Casinos (house edge is <1%). I wouldn't just dismiss users claiming that going second is OP as 'whining'. What I don't get is why you are putting soft-luck as a distinct category from Yomi and Execution. If 'soft-luck' is merely being able to take an action after the 'luck' event, and if Yomi and Execution are categorized as 'luck', in most games you can execute... and keep executing afterward. It makes sense to me, but only within the context of the "5th luck type". Hard Randomness: I have a 68% chance of my outcome happening. Skill: This is difficult to perform, so I only enact my outcome 15% of the time. Yomi: My opponent usually does A, so if I do B now, I have a 78% chance of obtaining my outcome. Soft Randomness: A Skill or Yomi challenge with a difficulty determined by Hard Randomness. Outcome: I'm unsure of the path to get to my desired outcome, so I only reach it 37% of the time. These are categorized by the effects that the type of lucks have on a game. Soft Randomness in this light is different from the rest. "Randomness" is sometimes used as an intentional design decision used to create the "Variable Reinforcement" cognitive behavioral pattern. It's a psychological exploit used to create addictive behavior patterns with the intention of keeping players interested, engaged, and spending money. It has very little to do with "fun". Now, you have a right to complain. There are surely several different kinds of uncertainty in games, but I do not think your categories do a good job describing them. Each category of yours consider in fact a different point of view. In my opinion, a better approach would be to study the different point of views in isolation. We may first of all consider the source of this uncertainty. This can be a random number generator, but also the players input or some hidden state or rule. If we do not understand or know the outcome of some action, that is still uncertainty. Removing the random number generator from your game do not remove all these sources. A game like chess still has some degree of variance because players do not necessarily play deterministically. You still do not know how your opponent will play. We may then consider the effect of this uncertainty in the game. In what degree does the random choice determines who win the game? Are we able to try again? In some games, the action we take under uncertainty determines who win, in other cases it has very little effect on the game overall. For example, a single shot in a FPS isn't very important in the game while the choice you take in rock-paper-scissors is really important. We may finally consider the distribution of this uncertainty and what we know about it. This is what makes it possible to create (mathematical) models and create strategies. Your game is not without luck. Even if the rules are deterministic, players still introduce uncertainty in some way. For several players, not understanding the possible outcome of an action is also a source of uncertainty. 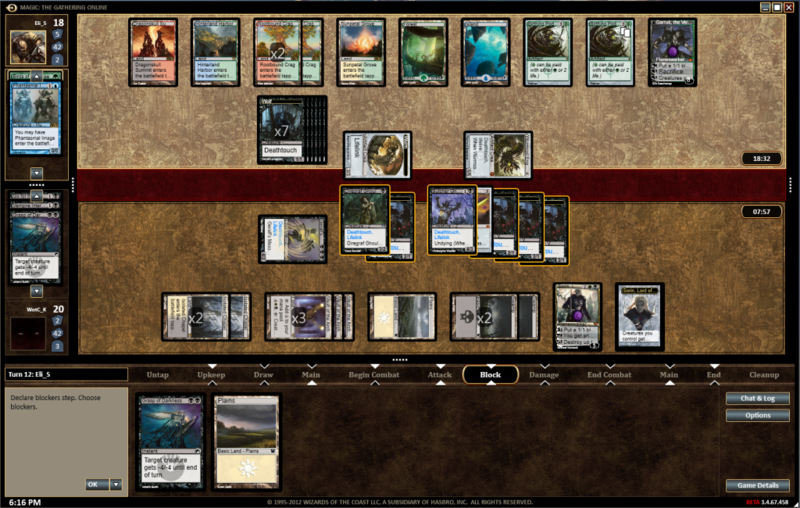 Depending on the specific rules used, the random deck generation may finally advantage one technology over the others. But you can't make a game without uncertainty. If you always know what is gonna happen you wouldn't probably find the game fun. But you can surely make a game without a RNG. All your solutions are just methods to reintroduce choice in a game where choice was previously removed. You have simply changed the source of your uncertainty. Feeling lucky is important attracting,no lucky,they will only play 3 rounds,that's right,and always leave,never back,I thought that's an important thought for making more people to play your game.In my company product,play for a long time,but still stay the balance in same number,cant get lucky feeling,and I get some disappointed in game,but some guy maybe should say, that's about payout.Payout just the most important reason.I think that excitement make people more loving using your product.